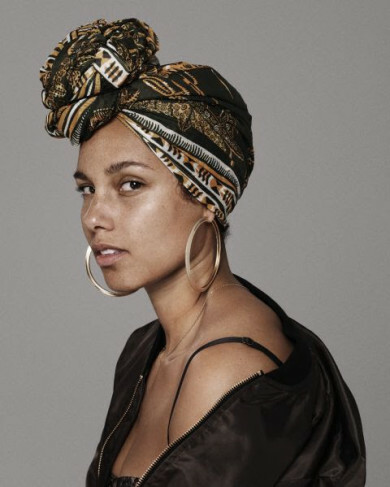 *Alicia Keys has been promoting her upcoming album with little to no makeup in recent weeks, and the 35-year-old Grammy winner says she’s ditching the cosmetics to make a point. It all started during a photo shoot for the new as-yet-untitled album. Keys said she walked onto the set, fresh from the gym and wearing a scarf under a baseball cap, when photographer Paola Kudacki got inspired by her minimal look. You look 19 without make up?????????????????? My fav pic #vanityfair ⚡️⚡️⚡️⚡️⚡️⚡️⚡️⚡️⚡️⚡️⚡️⚡️⚡️⚡️ the fact that this is a new pic ?? ?